3. The inspection date markings are wrong! 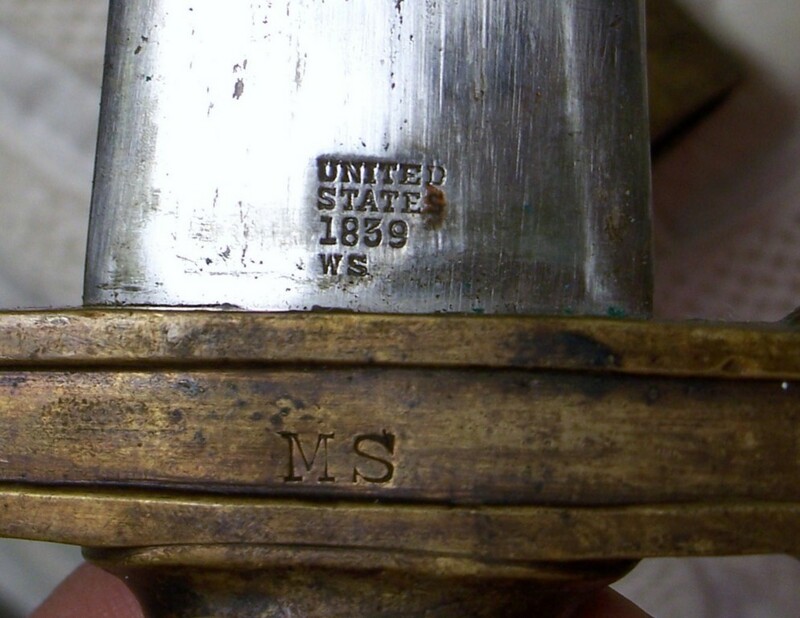 "United States, 1839, MS" markings on the blade are left justified using the same stamp. Also, it should only be stamped "US" not spelled out on this date, and not all the same size. United States stamped may be considered correct provided all markings are centered and not "left justified." 4. 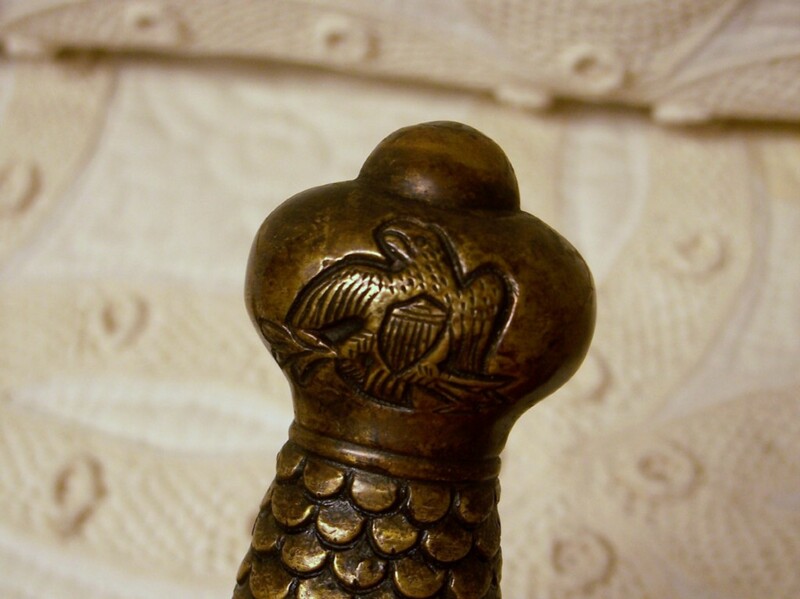 The revits in the grip are zinc and should be brass. 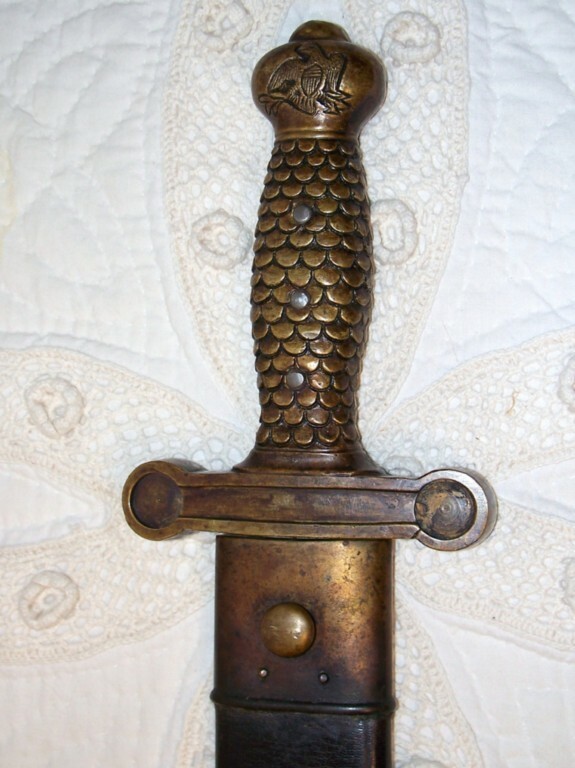 All these things are wrong and you should stay away from this sword. 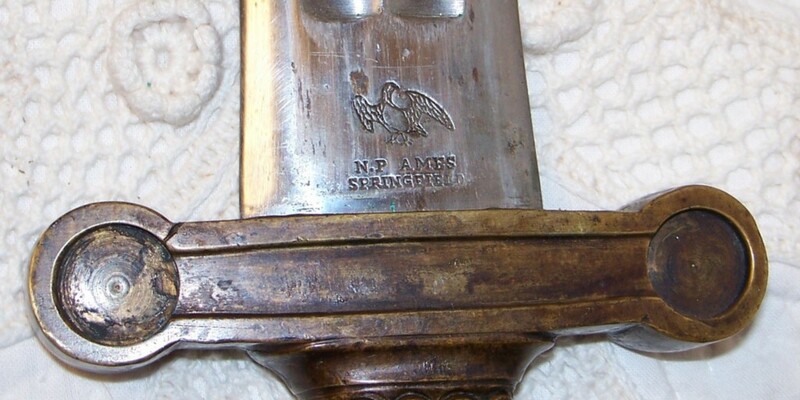 These are all dated 1839, so look very hard at any Ames short artillery sword with this date. This is one of the best fakes on the market and often fools many novice collector and general dealers. BEWARE! !